Knit in minutes on the addi Express! 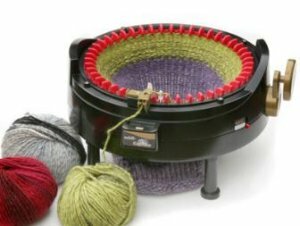 This easy to use knitting machine can help you quickly crank out your creations! It will allow you to knit flat AND in the round. The Addi Express King has 46 needles and is great for large projects. While the original addi Express knitting machine has only 22 needles it is great for creating scarves, ponchos, pillow covers and afghans!